Elaine Hancock (Olney, United States) on 15 December 2018 in Lifestyle & Culture. Cruise ships in the harbor. I love the roiling cloudy sky and the shiny swelling sea. Interesting toning choice. Un contre-jour bien compensé qui donne une belle image. La lumière joue un très beau jeu pour ta photo réussie ! wow...a fantastic image of the sea and sky..the shimmering water looks lovely ! Superbe HDR. I like the amazing sky and textures of lights at the water. Stunning light and tones. I like the composition. Beautiful image. This fine sailboat must be anchored and waiting for its owner. A fine shotl. Fabulous image that makes me want to do this. 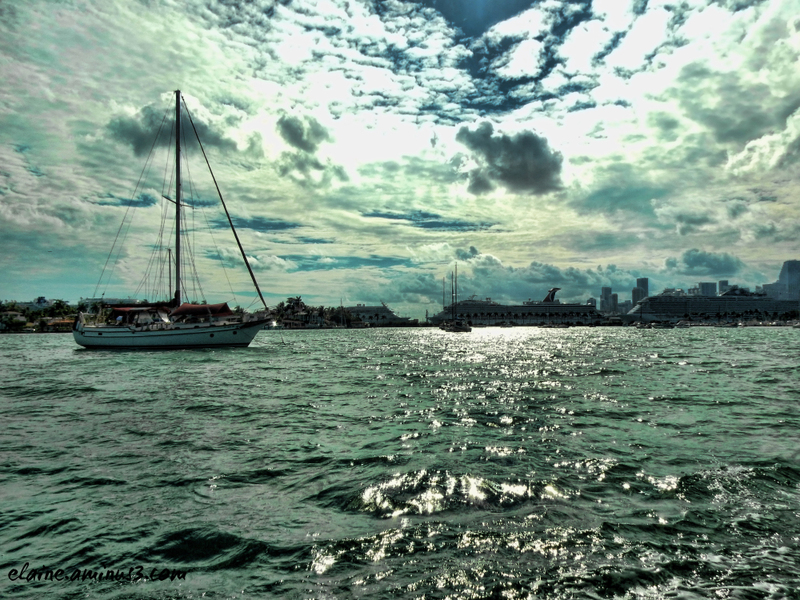 A beautiful photo of the harbor. Wow ...Splendid photo with all kinds of boats , light on the sea and this spectacular sky ! My choice between cruise ships and the sail boat wold be the sail boat. Interesting light and color.